Are you planning to buy your Portland dream home? Or maybe you’re thinking about a remodel to update the style of your house and keep up with the hottest trends? 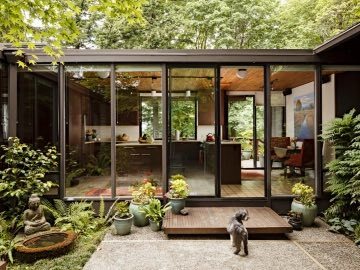 When it comes to planning a Portland home remodel, there’s a lot to think about! Lifestyle, budget, layout, and style all come into play. 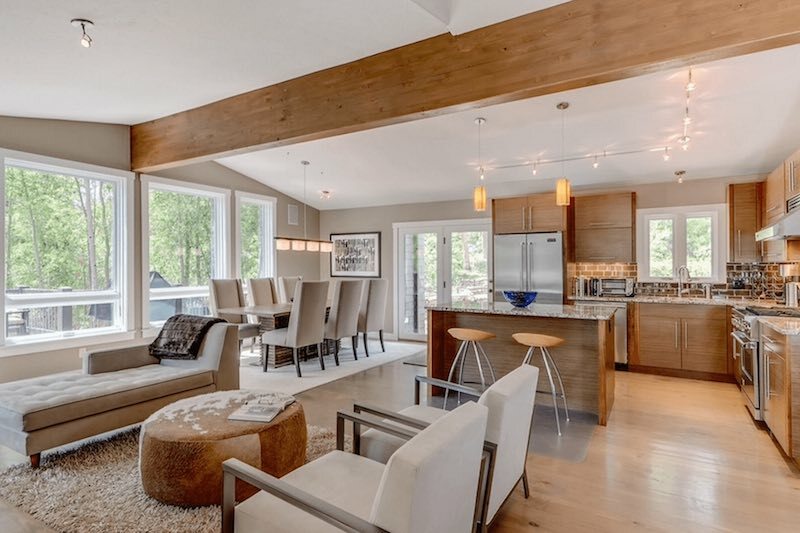 Here at Mosaik Design & Remodeling, we thought it would be interesting to speak with a local expert who sees hundreds of homes a year and talks to homebuyers on a daily basis. So we tapped veteran real estate broker, developer, and boutique hotel owner Lance Marrs to get his take on home improvement and the latest design trends in Portland. What features are on the wish list for home buyers in Portland? Today’s Portland buyer is sophisticated and more often than not, they know what they want! Open floor plans with good light and basements that have potential to be finished are important. Flow is everything! Are there any new amenities you see becoming more popular with your clients? Portland’s creative class works hard and plays hard! Their home life needs to be simple, easy, and stress-free. White walls, modern appliances, quality lighting, smart thermostats, and low voltage wiring are what everybody’s looking for in their new Portland home! What Portland home remodel projects pay off and add value down the road? The best dollar-for-dollar value comes in a beautifully considered kitchen or bath remodel. 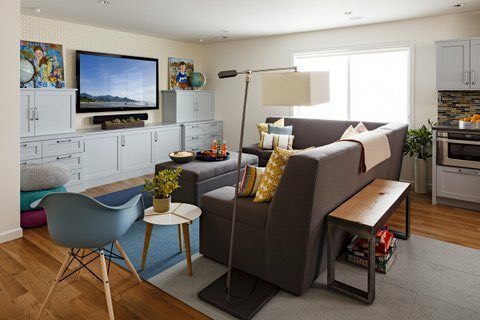 Finishing the basement for additional square footage or as a space to rent is a smart place to invest hard-earned dollars, too. One of our favorite basement remodels! 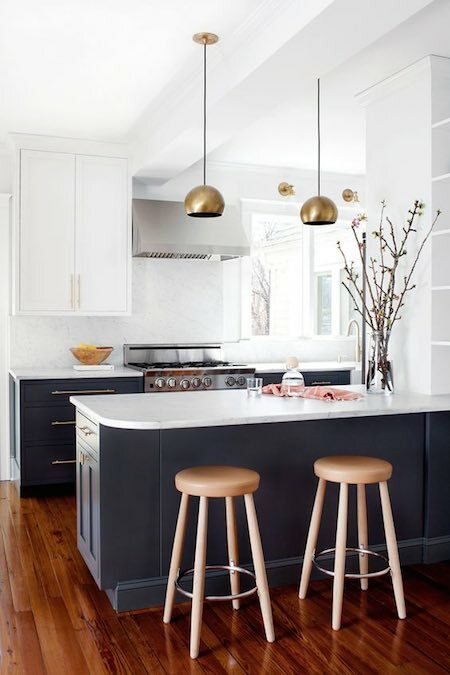 What popular trends in surfaces, fixtures, paint, and lighting do you think will stand the test of time? Wide plank wood floors, deco bath hardware, minimalist lighting – these are consistently passing the test for both in-style and long-lasting value. A smooth wall with commercial-style detailing at the bottom is an interesting trend. It’s especially notable due to the minimal style of the trim. Simple can be expensive! 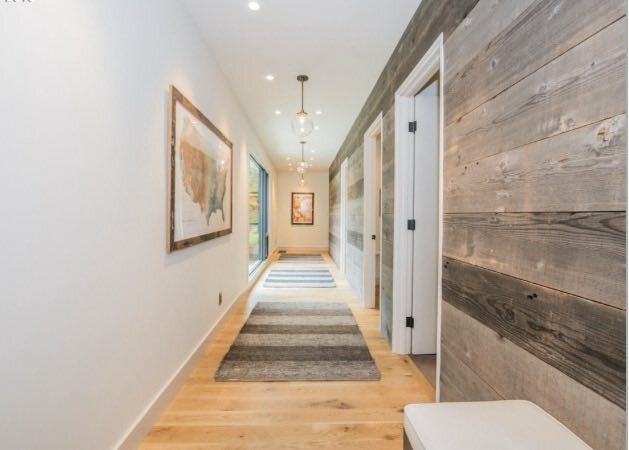 Reclaimed wood, tongue, and groove – used sparingly these features can add great depth and warmth to a home remodel. Do you have a favorite Portland home style? What tips would you share for someone remodeling one? Portland has so many distinct neighborhoods and diverse home styles. The 100-year rule is something I have always taken to heart. Leave the house better than when you found it. Your home should be built with high-quality materials and using construction methods that will stand the test of time. More importantly, your home should still look current 100 years from now. Paint and lighting can be swapped out easily but hard surfaces not so much. Buying in one of Portland’s historic districts like Irvington or Ladd’s Addition will limit some of your options. These areas have strict guidelines and regulations designed to maintain the architectural integrity of home, particularly the exterior. Personally, I’m into the reimagining of split-levels. I’m actually in the early stages of a project right now! As a realtor, you’ve seen thousands of homes. To you, what makes a great home? Homes have souls. I truly believe this. You can tell upon entry whether or not the owner gets it. The details, both seen and unseen, are what make for a great home. Finally, what are some of your favorite local resources for homeowners? For online resources and inspiration, your blog at Mosaik Design of course! Such great places to explore on a rainy afternoon! A big thank-you to Lance for taking the time to talk with us today and share his thoughts on what makes Portland homes and real estate so special and unique. You can learn more about Lance on the Living Room Realty website and read some of his writing on their amazing blog! Lance Marrs has more than 20 years local real estate experience. He specializes in residential real estate found in close-in Portland neighborhoods. To get in touch with Lance, call (503) 701-5323 or email lance@livingroomre.com.